In December 2015, we launched the Ullswater Environment Recovery Fund in partnership with the Ullswater Association.  Ullswater economy is highly dependent on tourism so it is important that the natural environment and access to it is restored to ensure that visitors keep coming here and the visitor economy can thrive again. “Slow The Flow” is a partnership project that aims to develop a set of sustainable solutions for each of the main becks in Patterdale to both “slow the flow”, and stabilise land in the upstream areas. As a result of the Floods of December 2015 the Parish of Patterdale is working with partner agencies including the Eden Rivers Trust, Natural England, the Lake District National Park and Environment Agency to develop sustainable environmentally friendly solutions to water and land management in the upstream catchment areas of the Dale. This first Slow the Flow project is a pilot project carried out in the Grisedale Valley, from Grisedale Tarn down to Waterfall Wood in Patterdale in particular, which is owned by Matson Ground Estate. Working with the landowner, Eden Rivers Trust and other agencies, the valley will be mapped and solutions to improve water storage and land stability upstream will be trailed.The knowledge gained in this pilot project will then be used to develop solutions at the other areas of the Dale including Hartsop, Deepdale, Greenside, and Glencoyne. and across similar areas of Cumbria. Step 2 – Identify solutions for the better management of the beck and slowing of the water flow to range from the creation of potential water storage areas by removing beck banks to the widening of the beck to increase capacity and reduce gravel movement. The project is critical to creating a sustainable and effective approach to overall water and land management not only in Patterdale but elsewhere. By seeking to develop an environmentally friendly set of solutions the need to protect the downstream settlements in the Dale can be balanced with the needs of protecting the upstream environment. The site is fully accessible to the public, and work by the Eden Rivers Trust, local volunteers and specialist contractors commenced in July and will hopefully be completed by October 2016. 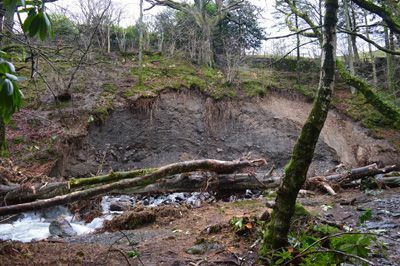 This project will repair the footpath between Angle Tarn Beck and Hartsop village along the side of Lingy Crag/Brock Crags in the Ullswater Valley. The purpose of the project is to upgrade an existing footpath to reduce damage to the surrounding vegetation and to enable a wider group of users to access the route. The existing route is badly drained and uneven making it inaccessible for some less agile walkers. Currently people are avoiding the poorly-drained boggy sections area and diverting onto the surrounding fellside, damaging vegetation and accelerating soil erosion. Soil that washes off the fell into the lake reduces water quality in Angle Tarn beck and Ullswater, damaging aquatic life. Thanks to a £1,000 grant from the Ullswater Environment Recovery Fund, and support from the LDNPA Access Improvement Fund, a 500m section of the route will be upgraded with improved drainage and surfacing. The improved drainage will reduce the amount of soil washing off the fell, while improved surfacing will ensure that walkers remain on the path, giving the vegetation chance to recover and prevent further soil erosion. As well as restoring and protecting the natural vegetation and water quality of the Ullswater valley, local residents and visitors will benefit from improved access the popular route. Last year a new footbridge was installed at Angletarn to and improvements to this footpath will further improve access to the fells. The site is fully accessible to the public, and work by the National Trust, National Park and tenant farmer will commence in September and hopefully be completed by November.